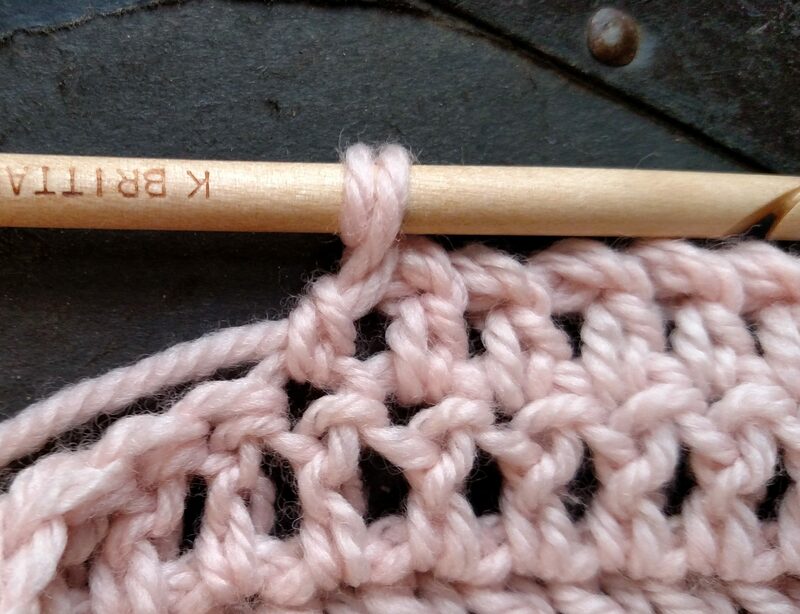 Often times it is the small details that can really cause your crochet work to shine. One of those details can be found in the edging. 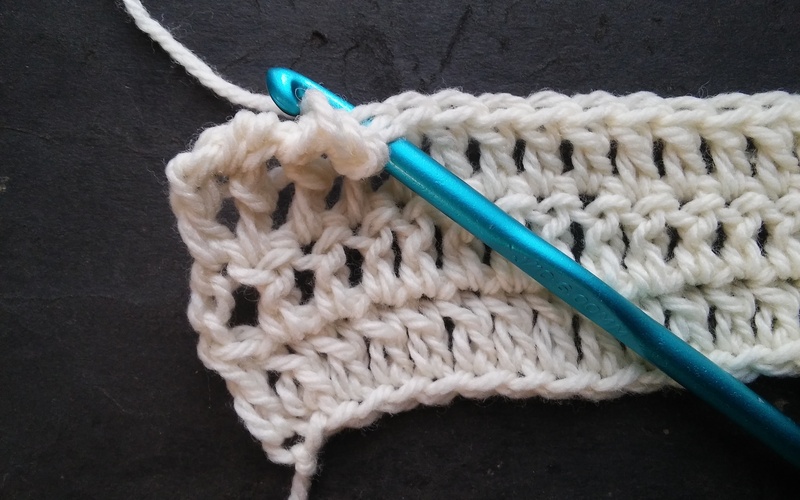 There are many times that I finish off a piece of fabric with a Reverse Single Crochet stitch, also known by the name “Crab Stitch”, but in my time teaching I have found that this stitch can be a bit to trying for some students. It requires a good sense of adjusting your yarns tension and working in the opposite direction (I discuss how to work the stitch here). However there is another stitch, The Corded Edge stitch. The Corded Edge stitch looks very similar to the Reverse Single Crochet, but is easier to work. It is not quite a stitch as much as a technique that creates a braided or cabled look. It is worked in the last row of the fabric and is worked by rotating the two loops on the hook 360 degrees, and then finish the stitch. Unlike a Reverse Single crochet, this technique can be used with any stitch. 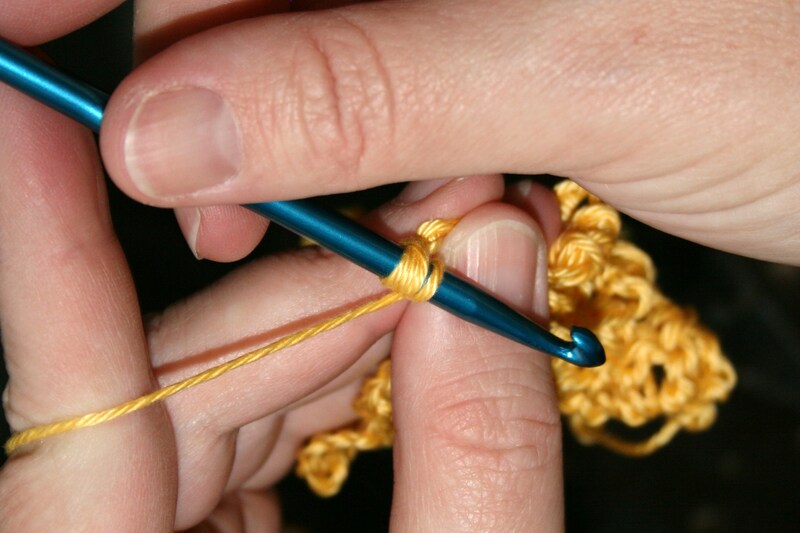 Below I have demonstrated this technique with a Corded Single Crochet and a Corded Double Crochet stitch. 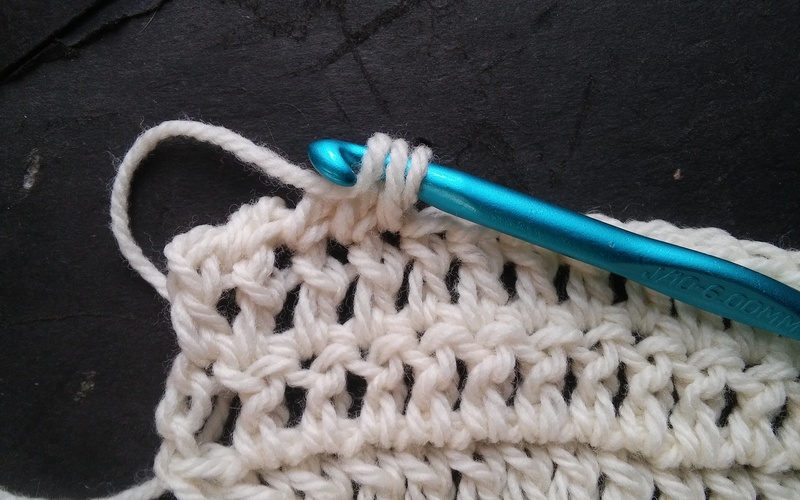 To work a Corded Single crochet, you begin a single crochet just as you always do: Insert hook in indicated stitch, Yarn over and pull through a loop. Now with 2 loops on your hook, you rotate your hook 360 degrees. 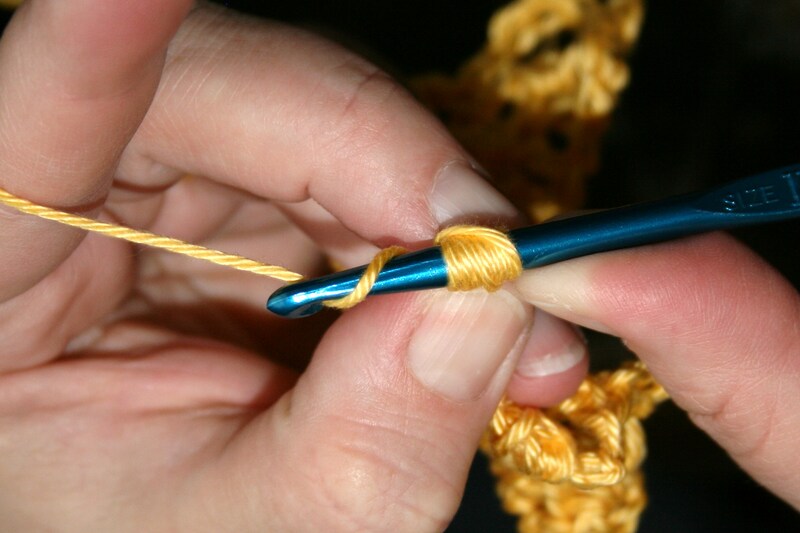 It is not crucial as to which direction you make this turn as long as you are consistent with each stitch. There is a slight difference in the appearance depending which way you rotate, so sample each and see which you prefer. I typically rotate in the direction it feels most comfortable for my hand to work. 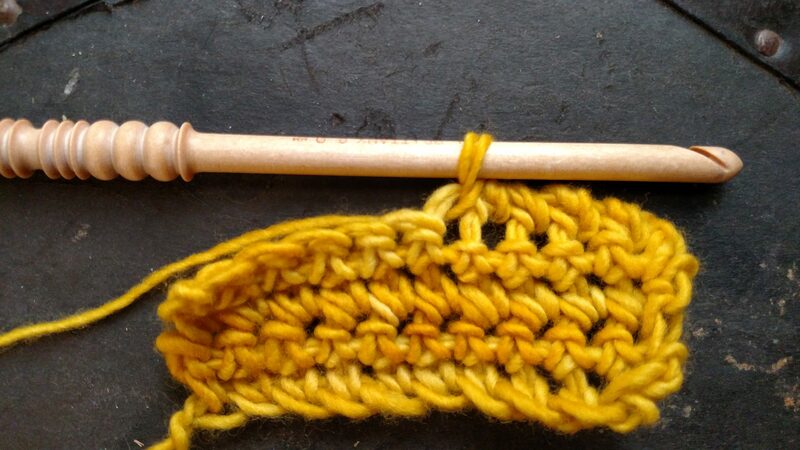 Now you yarn over and pull through the 2 twisted loops on your hook. This completes the stitch, and you repeat it in the next stitch. To work this technique as a Corded Double Crochet, you begin the Double crochet as normal: Yarn over, insert hook into indicated stitch, Yarn over, pull through a loop, Yarn over, pull through 2 loops. Now with the last 2 loops on the hook you rotate your hook 360 degrees, yarn over and pull through the 2 twisted loops. It is pretty simple, yet results in an edge that is very finished. Sometimes all the difference in a handmade piece is the finishing. One of my favorite ways to finish a piece is with edging, and one I really like is the reverse single crochet, sometimes known as the “crab stitch”. Crochet names, like “crab stitch” does not often tell you anything about the stitch, but at least “Reverse Single Crochet” gives you an idea…and it is pretty accurate. Essentially you are working a single crochet in the reverse direction. 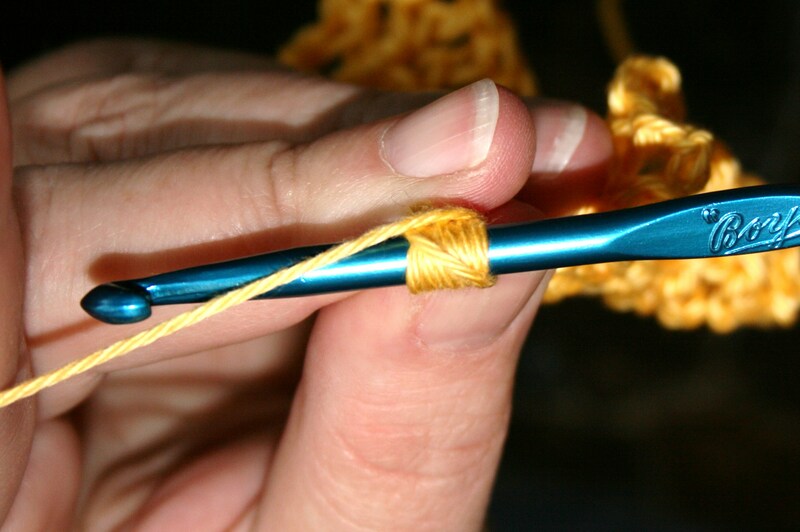 Insert your hook in the next stitch, from front to back, but in the Opposite direction from what you usually work. 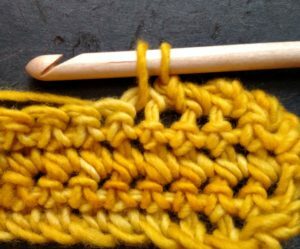 You work the single crochet in the same manner, inserting your hook into the next stitch, yarn over, pull through a loop, yarn over and pull through two loops, but the difference is that instead of working in the normal direction of your crochet rows it is worked in the opposite stitches. So if you are right handed you will be working in the stitches located to the right of your work, and if you are left handed you will be working in the stitches to the left. This is in the opposite direction than you usually work. 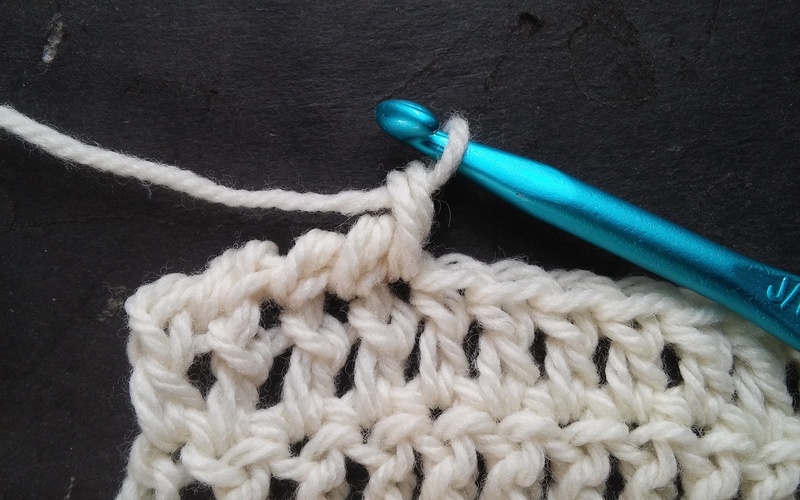 The most common error made when working this stitch is reversing the processes even further by inserting the hook from the wrong side of the fabric, this actually creates a single crochet stitch, but it is just a single crochet, just as if you had turned the work. So always insert the hook from the front of the fabric and complete the stitch. Relax your tension, and pull up your loops a little taller than usual. 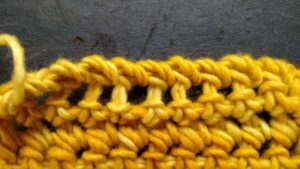 Starting this stitch can feel very awkward, and the first couple of stitches may look a little odd, but after you work a few you will start to see a stich that looks almost like a rope. 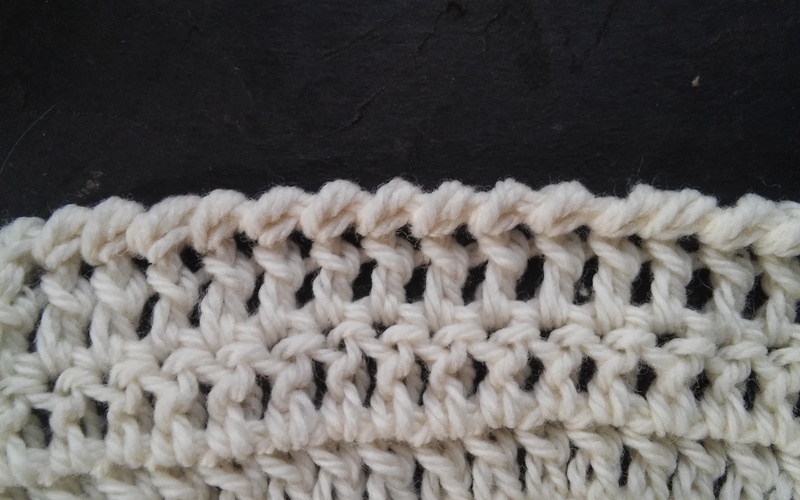 It is this twisted effect of the stitch that really allows it to be used only as an edging. Not only do I use this stitch as an edging, I occasionally use it as a joining stitch. I place the fabrics I am joining together wrong side together and work this stitch through both fabrics. It creates a raised rope at the edges of the fabrics. I find that this creates a nice textural effect as well as visual interest. 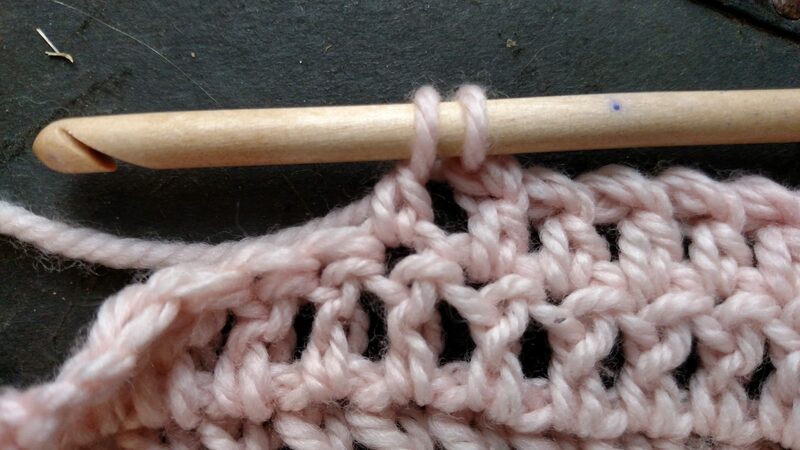 There is one tip I can offer to working this stitch, relax with your tension and pull up your loop a little higher than usual, this makes it a little easier to work in this different direction. Sometimes we find inspiration for crochet in unusual places, sometimes it is just looking at a traditional method in a different light. For me the Clone Knot is one of those stitches that I never really knew existed until I took a thread crochet class from Kathy Earle at a CGOA conference/Knit & Crochet Show a couple of years ago. The class on Irish Crochet really expanded my knowledge, I usually do not work with thread and tiny hooks, however I really have a new level of respect for those that do. I took some of my new found skills and applied them to my yarn crochet, and the clone knot fit into this very well. The clone knot is essentially a multiple of loops placed on the hook and worked together creating a bump of material in the middle of a set of chains. 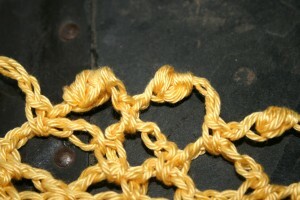 It creates a unique textural and visual impact to open fabric work, and in Irish crochet is often worked in between motifs during the joining process. Bring the hook under the working yarn. To create this stitch, begin by chaining a couple of chains, then place the hook under the working yarn, rotate the hook 360° and place in under the working yarn again. 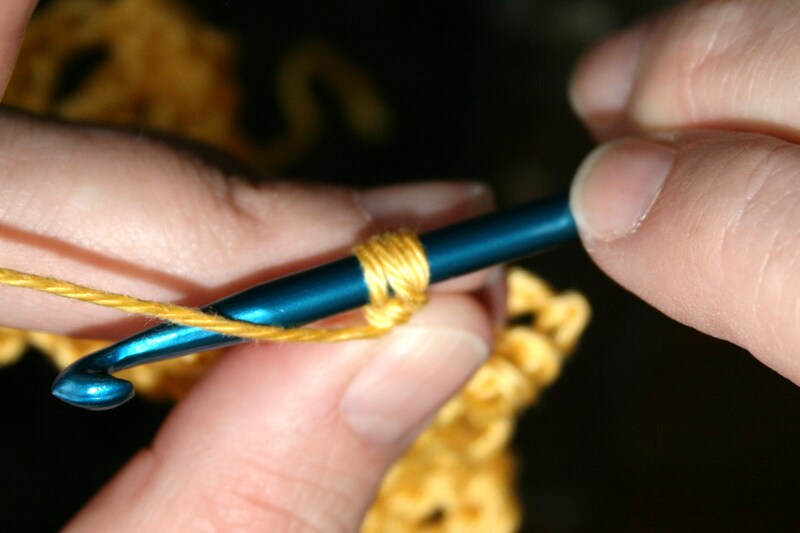 Placing the hook under the working yarn and rotating the hook causes a loop of yarn to be placed on the hook and twisted to stay in place. Bring hook under yarn again, and re twist clockwise 360 degrees. 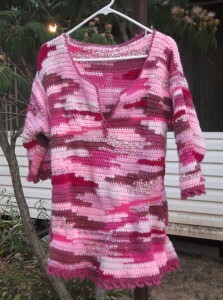 After working this motion a few times or the number indicated in the pattern, yarn over and pull through all the loops. 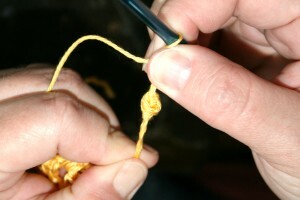 Then chain a couple of more times, now comes the part of securing the stitch. Pull the chain taught and push the loops toward the working end of the chains. You should feel or hear a small pop; this is essentially that you are sliding the loops over the adjacent chain causing it to become secure. Yarn over and pull through all the loops on the hook. 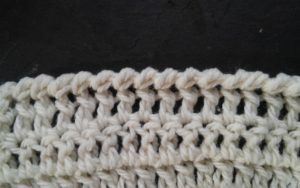 This unique stitch does have a slight disadvantage to what you usually expect from crochet, it is difficult to rip back, as securing it makes the stitch more difficult, as it creates what its name implies, a knot. Pull chain taught and push Clone Knot toward working end of the chain to secure it in place, you will feel or hear a “pop”. I hope you give this embellishment a try, add it to an edging, an place of open work, any where you want something a little different.